Affordable health care? Improving public education? Bah, those are unimportant things we’ll get around to fixing. But threaten to lower the alcohol content in Maker’s Mark, and America will fight you. Last week, Maker’s Mark, makers of Maker’s Mark bourbon, said it would be temporarily diluting its product from 90 to 84 proof in order to keep up with soaring demand. That’s when the people fought back. Even though the dilution was promised not to affect the taste, drinkers took to the internet, demanding their hootch stay at the same level. On Sunday, Maker’s Mark announced that they scuttled plans to dilute any more bottles. 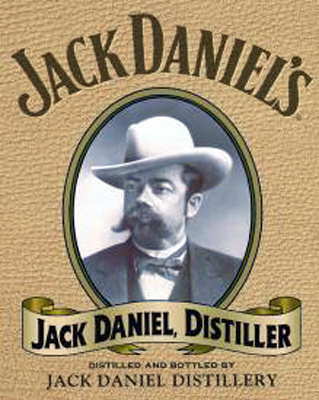 Let’s stagger on to Jack Daniel’s, citizens! The trust found the fabled lost whiskey of Sir Ernest Shackleton, which has been mellowing in the permafrost for a century. One can imagine it’s quite smooth at this point, more importantly, it was the booze of the famous explorer. Apparently the whiskey was sitting underneath Shackleton’s hut in Antarctica. The bottles were still in their boxes. We know there’s a horrible tragedy going on in Haiti. We’re not ignoring it by not posting, we just don’t see the humor in such a situation. So we’ve struggled to find an angle on the whole thing, and now we have it. Ladies and gentlemen, SG is here to inspire your Monday morning. Days after the search and rescue missions for earthquake survivors ended in Haiti, a man was found beneath what was once a hotel. Keep in mind, he was found alive 11 days after the earthquake, generally, people die after less than a week of food. So how did he do it? He survived on food and drink left in the rubble from what once was a shop. Namely, he lived on candy, crackers, soda, beer and whisky. Yes, whisky. Remember, everyone, booze can safe your life. It makes miracles all the time.